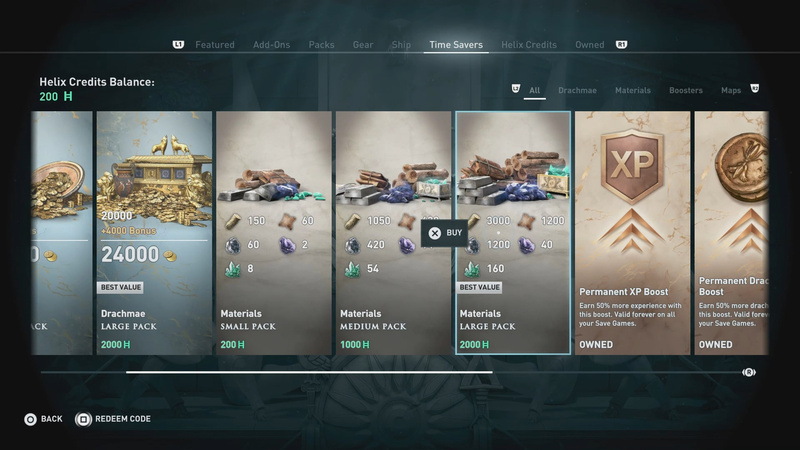 Assassin’s Creed Odyssey features a resource system which requires you to collect resources to upgrade your ship, weapons, and equipment. These resources come from a wide variety of sources, but can sometimes be frustrating to acquire. One of the most common, and most used resource is wood. Since I often find myself short on wood, I figured I would deep dive into the sources of it. 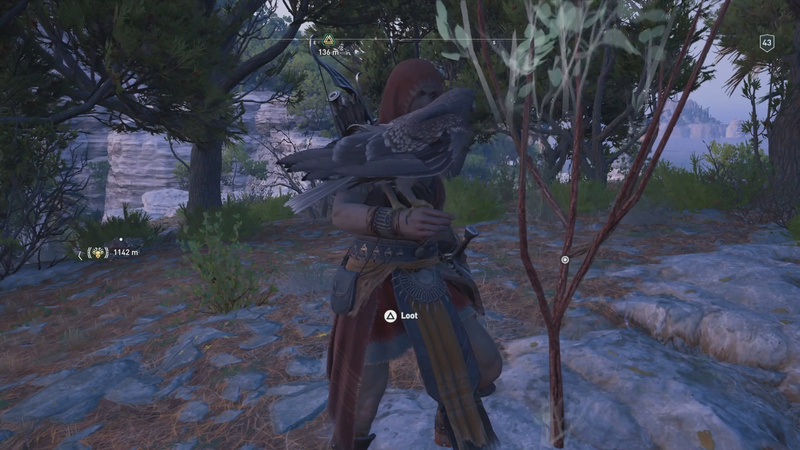 Here’s how to get wood in Assassin’s Creed Odyssey. When you are on land, look for trees you can loot for wood. You will find a number of sources of wood on land as you travel around. One source is looting trees (see picture above). Another source is by looting containers and chests. If you don’t want to scavenge for wood, there are a couple of other options for you. Dismantling weapons will give you back some wood in return. You can also buy wood at a Blacksmith for 8 Drachmae. Chance when looting Arrow Racks, Containers, Chests. Buy from Blacksmith for 8 Drachmae per piece. Looting War Supplies before burning them gives you a chance of getting Wood. Destroying ships on the sea is one of the fastest ways to get wood. The sea presents easily the most efficient way to collect wood of any of the options in this post. There are two main ways of getting wood, picking up salvage wood that is simply floating on the sea, and killing other ships. 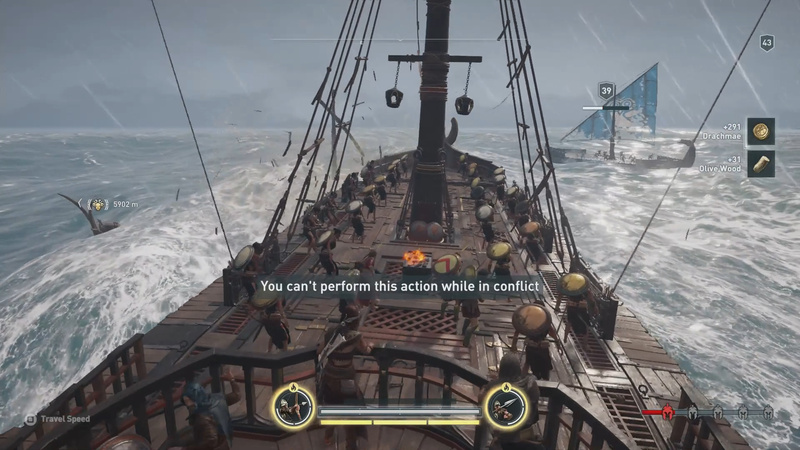 Killing other ships is easily the best way of getting wood in Assassin’s Creed Odyssey. Each ship delivers a fair amount for being sunk and doesn’t take a ton of time. To further your wood gains from ships battles, be sure to board them so you can loot chests on board. These chests give extra wood. If you don’t want to farm for materials like wood, Ubisoft has another option for you. If farming wood isn’t your idea of a good time, Ubisoft has a way for you to speed up the process by simply buying wood with real dollars. This can be done through the Store in game under the Time Savers tab. You can buy various packs of Materials with the highest pack having 3k wood inside it. Buy Wood from Ubisoft with real dollars. Anything to add to our how to get wood in Assassin’s Creed Odyssey guide? Let me know in The Pit below. The best way to get wood in this game is cleaving other ships. When you defeat them don’t sink the just go full speed into the middle of it. you get money and a bunch of wood 30 – 50 maybe more. @Deon – like how to create weak points and cleave other ships in order to get more wood. The chests on the ship’s deck hold far less potential wood than what can otherwise be gleaned. @Adam: I’m curious – how much deeper do you think this article could have gone? What wasn’t covered that you had hoped to see covered by a ‘deep dive’? You didn’t deep dive into anything. Just pointed out the obvious. Good job.